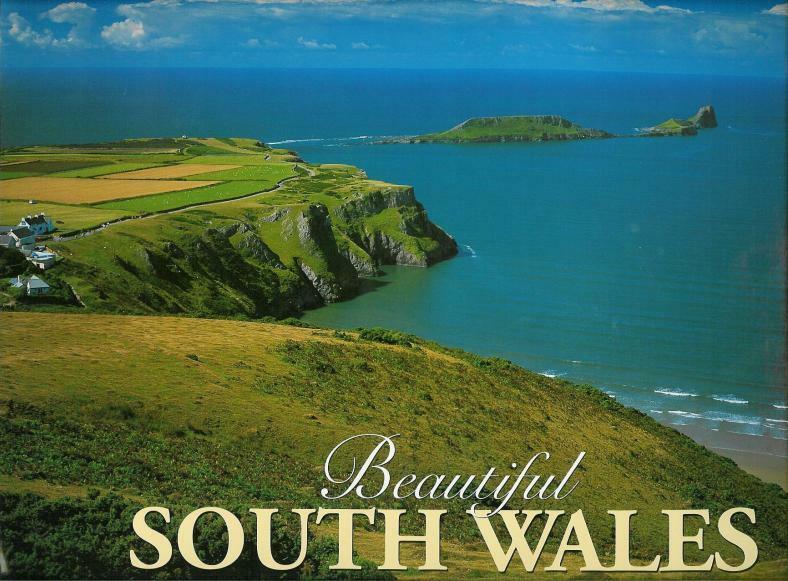 Fargo's Blog: Yes, it is true, we have a caravan in Wales! 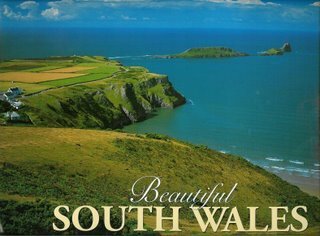 In spite of endless ridicule and incredulous comments the caravan in Wales is now ours. Because I neglected to take my camera on my first visit (post-ownership) I downloaded some photos from the web instead. 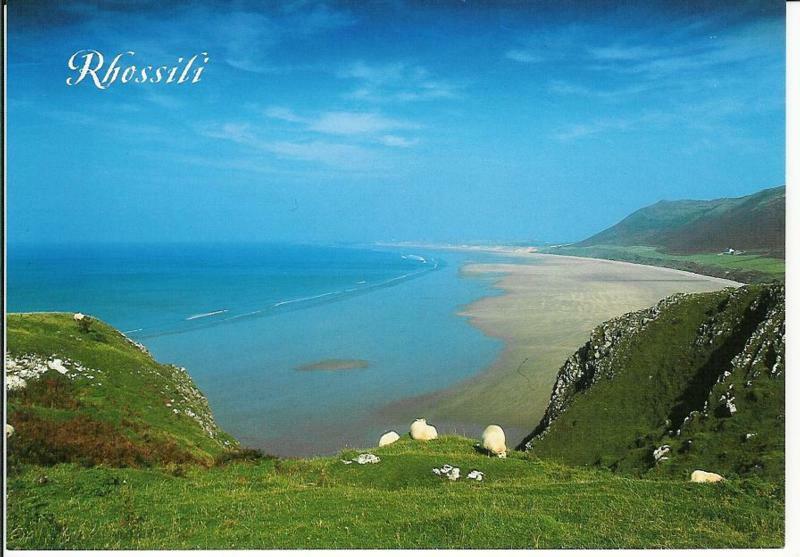 The first shot is from Rhossili toward Llanngenith. The caravan park is where the hill ends as you look from the right side of the photo towards the middle. Not surprisingly, the caravan park is called "Hillend". The next photo is from the midway up the hill out toward the Worm's Head which is accessible at low tide. The wildlife includes an abundance of seals which you typically see playing in the water on a walk out to the end. 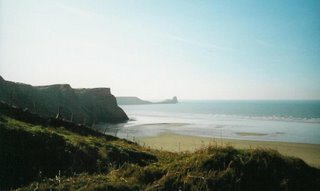 The middle photo is also of the Worm's Head with the village of Rhossili visible to the left. 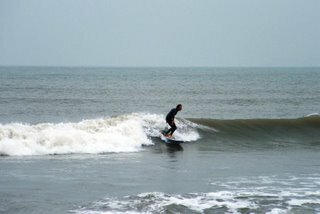 Pentultimate photo - surfing the Gower. 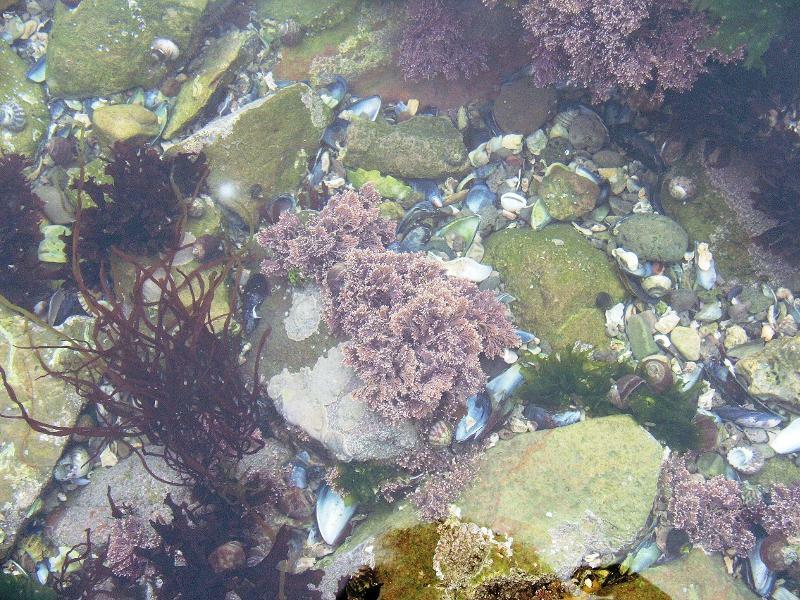 Final photo - a photo of a tidal pool in the Gower. - The Gower (where the caravan is located) was the first place in the UK to be named a place of outstanding beauty. - The Lion's Head pub is an enjoyable one mile walk up the road. - The surf, while not in the league of pipeline or other "epic" surf spots, is consistently in the 3 to 5 ft range. I'd venture that the average surfer would prefer that to 10ft to 20ft range as death isn't always at your side in the former class of waves. 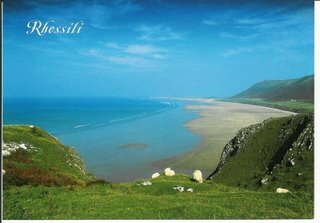 - There are walking trails throughout the penisula. - Yes, it does rain there. Though Aug/Sept tend to be sunny and splendid.